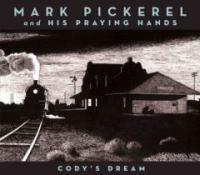 Mark Pickerel and His Praying Hands – Cody’s Dream. For those that do not know about Mark Pickerel, he was the original drummer for seminal alternative band. The Screaming Trees. He has also worked along such alternative luminaries such as: Kurt Cobain, Mike Johnson, Ben Shepherd, Jack Endido, Krist Novoselic, Steve Fisk and final Screaming Trees drummer, Barret Martin. Steve Fiskis also the producer of the Praying Hands debut album, Snakes in the Radio as well as Cody’s Dream. This is the follow up to the Praying Hands’ debut album, Snake in the Radio. This album is along the sames lines as Snake in the Radio, but where Snake in the Radio could be considered Alt. Blues of sorts, Cody’s Dream is full-blown Alt Country. It loosely follows the same path of telling a story throughout the album, but it is much looser. Mark also talks more about religion then he did with his previous effort. He seems to back away from religion in some songs, but is drawn back to it again in others. The same thread of “works for some, not for me, though” seems to be a persistant theme. Very much like his fellow maverick Mark Lanegan does time and time again. (Maybe a concidence, but they did play together in the Screaming trees from 85-91). 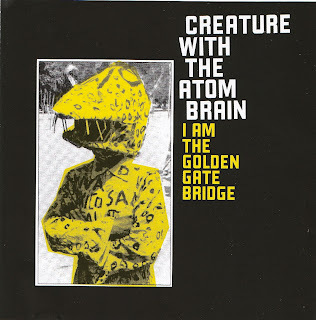 The album starts off hard and fast with the title track and gets you prepared for the journey that Pickerel and His Praying Hands is about to take you on. Mark’s soft brooding vocals are like that of a soft spoken gentleman that has an aura of trust and experience. Some songs are faster than others, but the album flows really well. There is a lot of great music on this record. Mark shows his comedic side with the song “Leaving with the Swamptones” as he tours from church to church throughout the country looking for pretty girls. “First stop is gonna be Charlotte. I’ll just bet she’s hot”. As Brian Chidester (Editor in Cheif of Dumb Angel Magazine) so aptly put it, ” ‘Last Leaves’ is a song the Neil Young wishes he wrote”. Religion and relationships are very thematic throughout the record and that can relate to everyone in any faction of life. We have all experienced one or the other, if not both, but we can’t put words to it. Luckily, we have people like Pickerel to do it for us. I highly recommend this album to anyone who likes good music and a good time. On Sunday night, December 2nd, I had the privilege of going to this amazing concert. The night I had been waiting over a year for had finally come to pass. The show started with the band Spain playing the opening act. They were good, but I could not wait for them to be over because I, and the rest of the packed Troubadour, knew that the Soulsavers were coming on next. For those who do not know the Soulsavers, let me tell you who they are. The Soulsavers are a British electronica/hip hop/gospel band. They are incredibly talented musicians who have received overwhelming critical acclaim for their first release, Tough Guys Don’t Dance (2003) as well as their newest CD It’s Not How Far You Fall, It’s the Way You Land (2007). 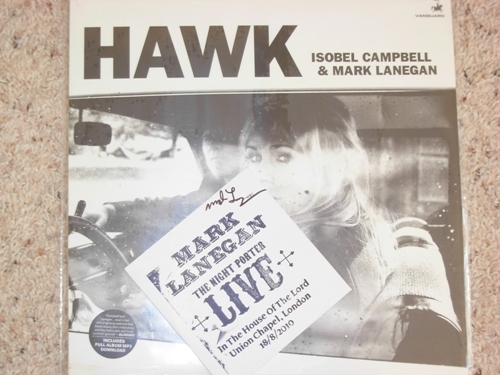 They received a lot of notoriety for their second album because, not only is a phenomenal album, but also because of Mark Lanegan’s contribution. Mark wrote and sang on most of the album. Mark is the kind of musician that brings instant credibility to any label he is on, or any band that he sings with and the Soulsavers are no exception, even though they are very good on their own. They started off the night with a rocking version of the instrumental “Ask The Dust” that was awesome. 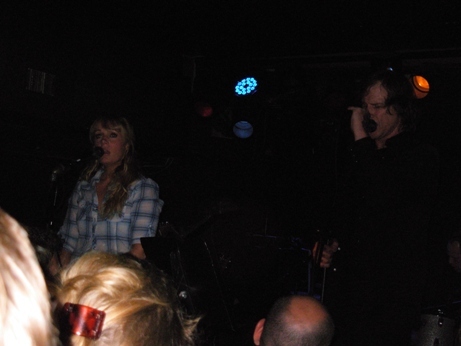 When that song was completed, he man himself, Mark Lanegan, walked out and began to sing “Ghosts of You and Me”. They played Lanegan’s cover of Junior Kimborough’s “All Night Long” and then went back to their own “Paper Money”. The gospel singers they used for backup were simply amazing. Instead of doing all their own stuff, the band took risks and were rewarded greatly when they covered “Effigy”, “Codeine”, and “Feels So Good”. 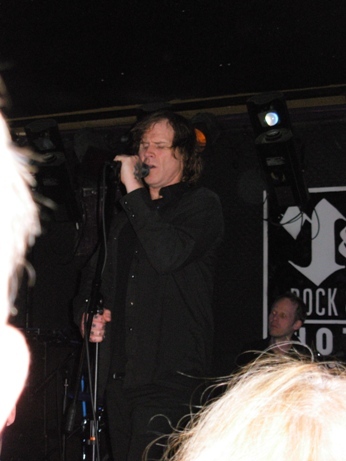 The song, “Spiritual” (written by vocalist Josh Haden who appeared on their first CD, “Tough Guys Don’t Dance”) really took the crowd into another world as Lanegan, desperate for companionship, cried out to Jesus to help him. Really powerful. They even spliced in Lee Hazelwood’s “Some Velvet Morning” to their own “Cabin Fever”. “Cabin Fever” is the only song they played from “Tough Guys Don’t Dance”. After “Cabin Fever” the band walked off stage only to come back out a minute later to blow us away with the lead single off “It’s Not How You Fall, It’s the Way You Land”, “Revival“. they ended the show with a gospel version of “Midnight Special”. I pity the man who has not heard a gospel version of “Midnight Special”. It was a great way to end the show. The show was just amazing. The band was extremely tight and the musicianship was outstanding. Nothing like being five feet away from your favorite musician.